Well here we are. With part 1 and part 2 covering teams 9 through 16, it’s time jump into the top eight. In 2017, the Titans had a selection of issues to deal with – a debilitating and on-going injury crisis, the sacking of the head coach, their co-captain getting caught in a drugs bust and being stood down, insinuations of player revolt, constant contract speculation, uncertainty about future ownership of the club, and Jaryd Hayne. Any one of which would be an understandable excuse for a poor season. Malcontent over the handling of many of the issues threatened to spill into this year, though new coach Garth Brennan seems to have calmed things down, as demonstrated by the retention of Ash Taylor (who was rumoured to have a foot out the door) and the ability to attract several new faces. Still containing a core of players that pushed their way into the top eight in 2016 despite being the shortest priced pre-season favourites for the wooden spoon in NRL history, the club showed glimpses of their potential last campaign by defeating the defending premiers twice and even became one of only four teams able to claim the highly prized scalp of Melbourne. The addition of Bryce Cartwright will only add to their attacking options, while Michael Gordon will bring some needed experience. A relatively favourable start to the season will certainly help, while the upcoming Commonwealth Games should take some of the pressure off by attracting the lion’s share of local attention, allowing them to go about their business without too many distractions. Origin should be comparatively kind to their roster and a good portion of their opponents over the period can expect to be heavily impacted by state selections. To top it off, their post-Origin draw offers them a great opportunity to kickoff a finals charge before having to face two of the top teams in the last two rounds. Now, this all sounds positive, but bear in mind that I have them just scraping into the eight, so it’s not like I expect them to blow the competition apart. But in a squad with plenty of attacking potential, I’m predicting them to make use of the opportunities presented, even if I can’t necessarily see them pushing deep into the finals. The Sea Eagles of 2017 outperformed even the most optimistic pre-season forecast, and did so with more than a million dollars sitting on the sideline. Yet, despite their success, they’ve again been widely tipped to struggle this season, with the salary cap investigation engulfing the club being the main culprit. But if there’s one thing that galvanises a Manly side it’s a club scandal. While the loss of Blake Green is a step back, with names like Daly Cherry-Evans and Tom Trbojevic in the spine, you can’t write them off. Proof of the spine’s influence can be found in their 2017 stats, where they placed in the top two teams for weighted kicks, forced drop-outs, tries per game and try assists. With a legitimate opportunity to secure the Queensland halfback role, expect DCE to build on last year, where he was equal fourth for try assists despite being the busiest half defensively in the league by a fair margin. The club’s off-season recruits might garner a limp reaction, but Trent Barrett’s ability to get the best out of last year’s underwhelming recruitments suggests they may bring more value then assumed. 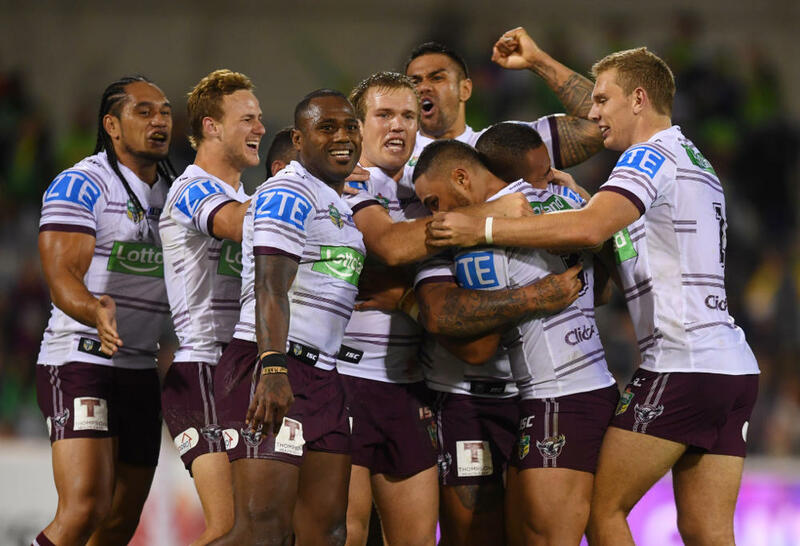 Their draw should give them the edge over sides of similar strength – their hardest match-ups being grouped together, allowing them opportunities for several strong runs and a comparatively easy start to the season, which should compensate for the loss of Dylan Walker for the opening rounds. Origin may hit them hard, though Manly does have a history of being overlooked for selection and their draw is fairly forgiving. Their charge to the finals won’t be a cakewalk, but they will only play two rounds against teams from last year’s top four. Overall they’ve got the potential to be real contenders, though consistency and an apparent lack of depth may see them drop a spot from last year. With a gameplan a couple years past its use by date and some of their most influential players getting shopped around like cattle, it’s no surprise the Bulldogs looked unmotivated last season. 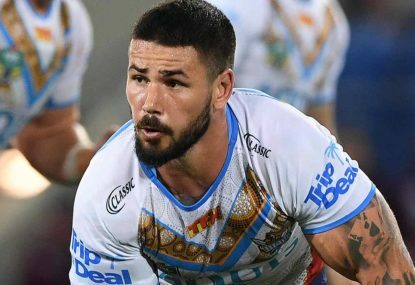 However, on the back of a new coach promising more freedom in attack, a new board and the Aaron Woods-David Klemmer love in, the Doggies will be out to make the most of their fresh start. Despite losing a couple of favourites, they still retain a playing group boasting plenty of state and international rep experience. Freed from a gameplan that seemed to suffocate any creativity in attack and behind a platform laid by the Australian front row combination, the Dogs should be afforded more opportunities on the offence while still being able to fall back on their already reliable defence. While there has been some understandable doubt over whether Kieran Foran will bounce back after two forgettable years, having Moses Mbye chiming in as a third playmaker from fullback should take some of the pressure off as he adjusts to his new duties. The pre-Origin draw will be a baptism of fire for the franchise, featuring four matches against last year’s top three teams, as well as one against grand finalists the Cowboys in their opening nine games. If they can snag a win or two over this period, they will find themselves in a good position to climb the ladder as their draw eases substantially toward the back end of the year. Origin is likely put a large dent in their forward pack, though enough of their opposition over this period should be similarly depleted that it won’t derail their season. Expect a slow start, but with an easing draw they should fly under the radar for much of the season with the experience of their roster getting them over the line in enough games to see them reach the top eight. So there you have it, my predictions for what is likely to be the most closely contested grouping of the ladder. If you haven’t completely lost faith in my predictive abilities yet, hang around for part four, where I cover the real contenders.